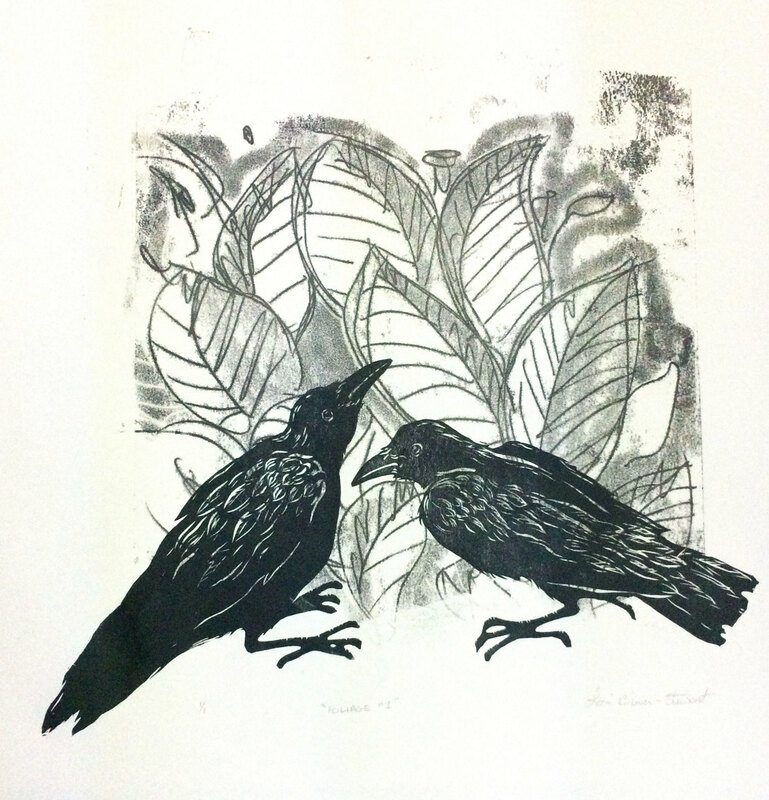 The background is a black and white monoprint with the linoleum print of the crows on top. This is shipped unframed, mounted on an archival piece of foamcore. Shipped in a plastic sleeve for protection.